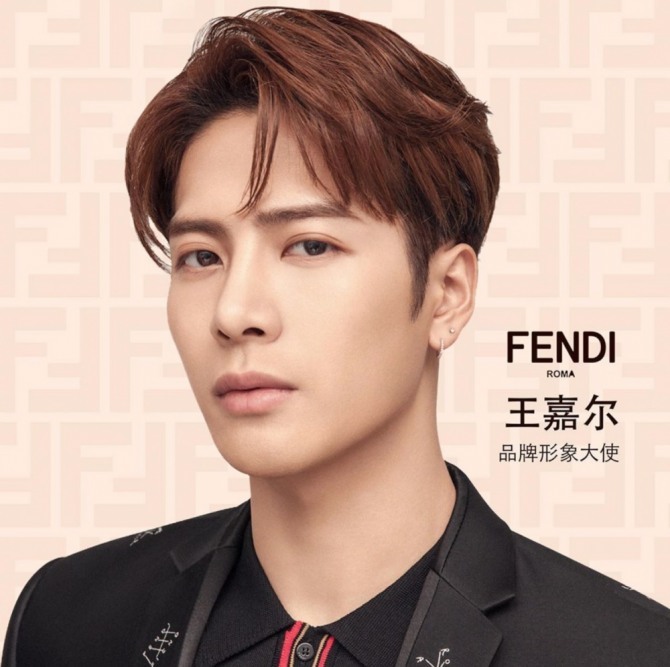 Rapper Jackson of K-pop group GOT7 was in Milan, Italy, to perform at the Fendi show during the Milan Fashion Week on Monday, and his Italian fans were more than happy to see the K-pop star visiting their country. A short video, released via V Live by Dispatch, a Korean news outlet, shows a crowd of enthusiastic fans calling out his name in one voice in front of the venue of the show. The Hong Kong-born, Korea-based member of the septet is seen stopping to greet fans before he entered the building, escorted by security guards. Jackson performed his latest single, the Gucci Mane-featuring “Different Game,” at the end of the show. Watch the clip at https://www.vlive.tv/video/108917. Despite the sweet tune, N. Flying’s latest single “Rootfop” is about the harsh reality that couples face nowadays, acccording to J-Don, the band’s leader who composed the song and wrote its lyrics. “When I wrote the song, I imagined a scene like this: A lady wants to see the stars in the night sky and takes her lover by the hand and leads him out of a rooftop room. When they look up the sky, the moon is shining, but not a single star,” J-Don said during a V Live broadcast aired Monday. “It’s like the reality people face these days. They want to hold onto love, but life is hard,” he continued. The singer, whose real name is Lee Seung-hyub, then answered questions from fans. “Did I ever get inspired by fans? Yes, of course. I always think of fans when writing lyrics,” he said. “I want to write a song dedicated to fans someday, but it is hard because it is not just a random song, but something that both our bandmates and fans would cherish,” he added. Watch J-Don’s broadcast at https://www.vlive.tv/video/108900. Bomin of 10-piece K-pop group Golden Child aired a solo V Live on Monday. 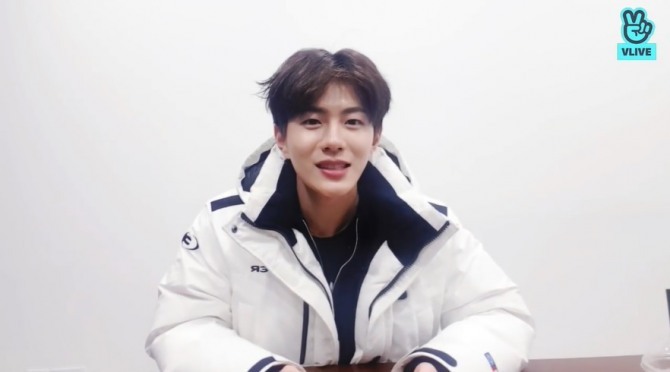 Bomin will be shooting the reality survival show in New Zealand’s Chatham Islands. A lot of people are giving him good advice, including fellow K-pop celebrities who have already been on the show. “Don’t worry too much. I will survive!” he said. The New Zealand episode of the “Law of the Jungle” will air in March. 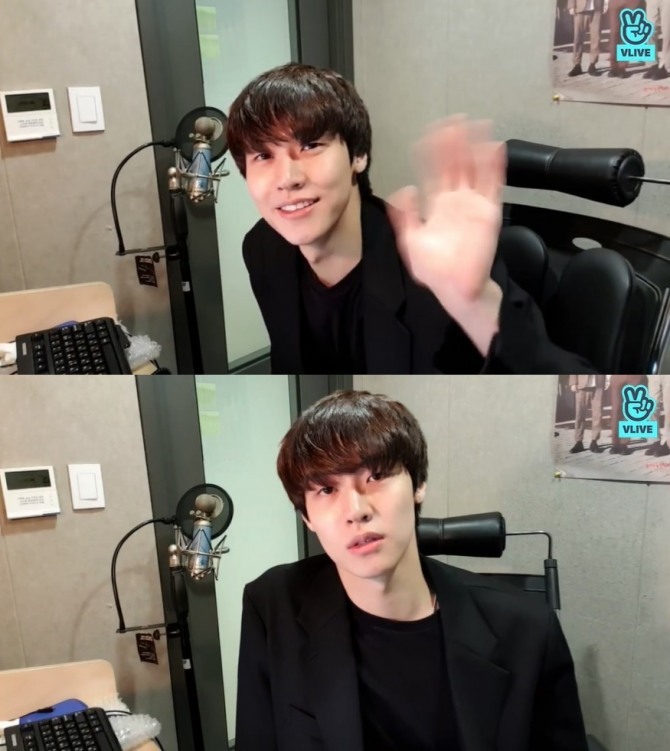 Watch his broadcast at https://www.vlive.tv/video/108895.